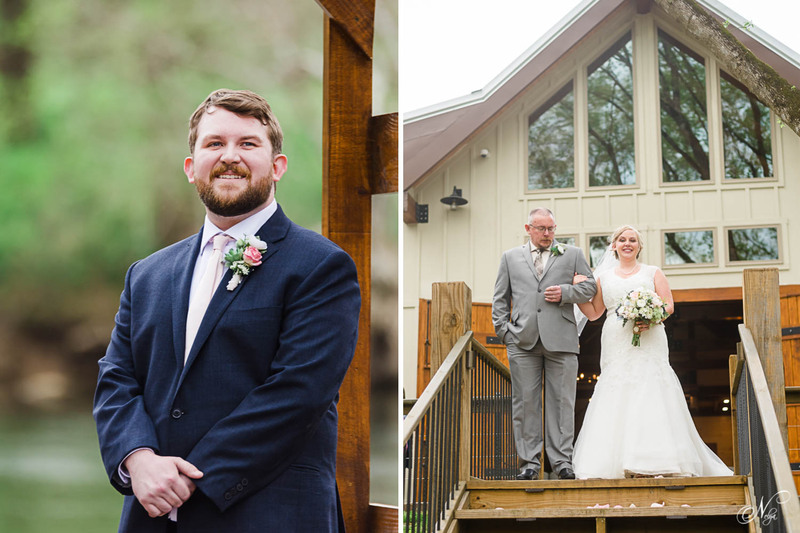 The day of Jake and Jaleesa’s wedding was forecast to be a pretty good chance of rain and turned out to be a slightly sunny overcast day that worked out perfectly for photos! 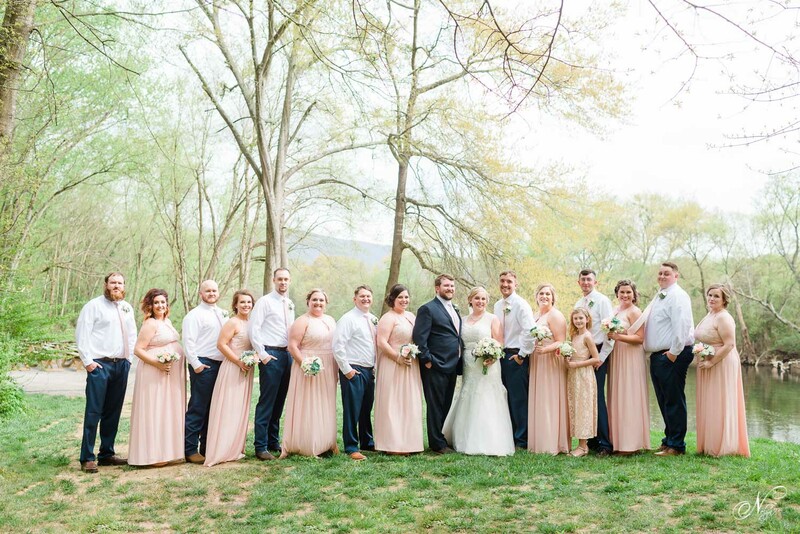 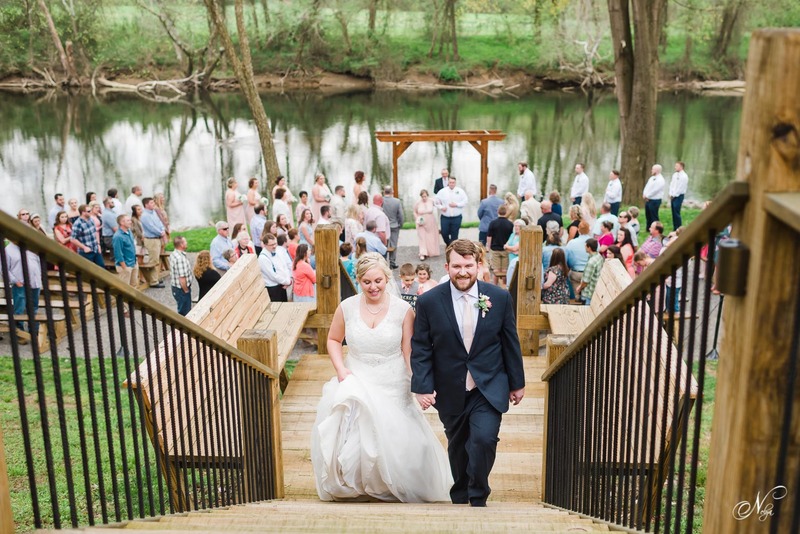 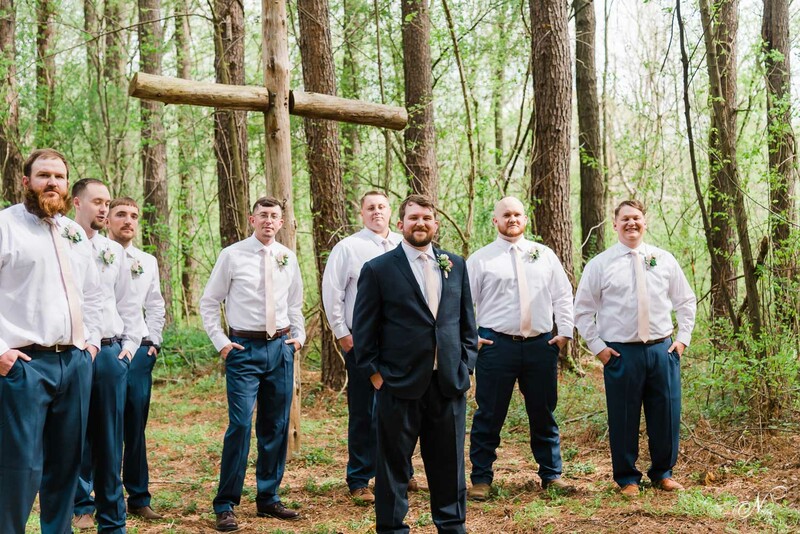 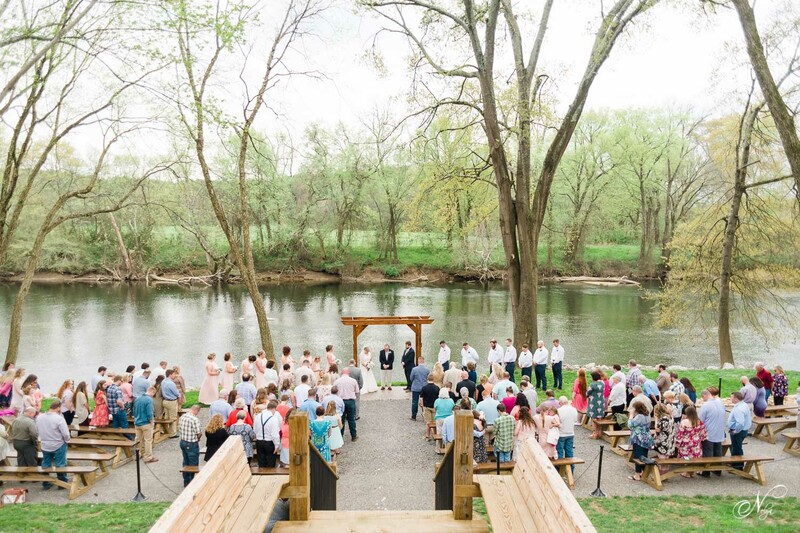 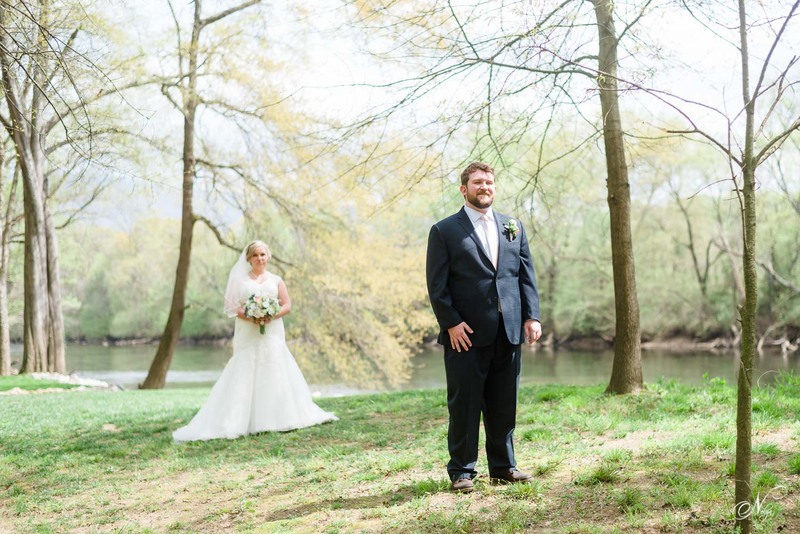 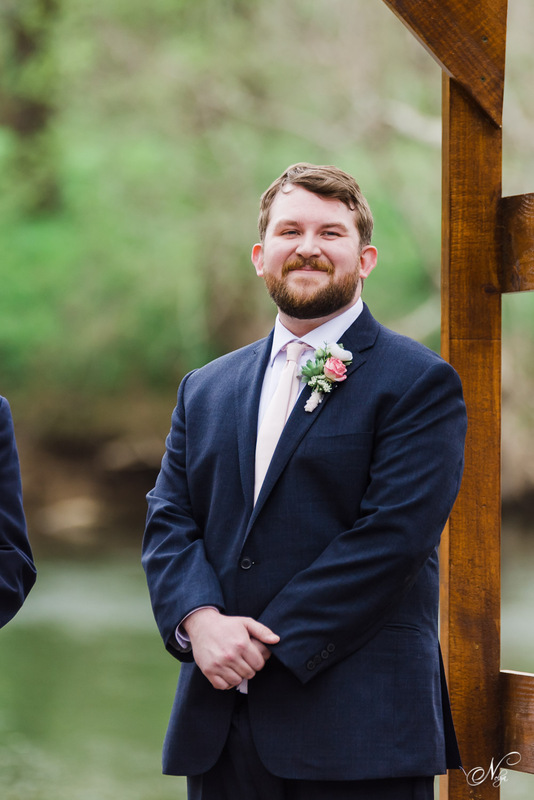 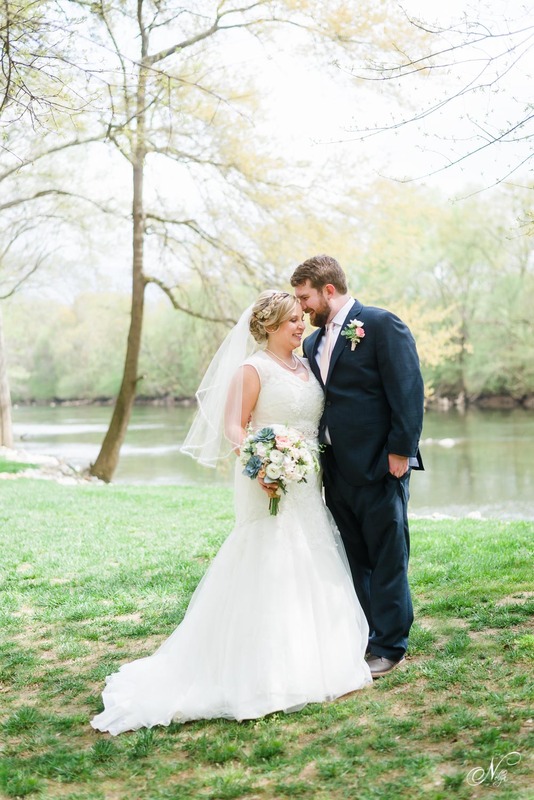 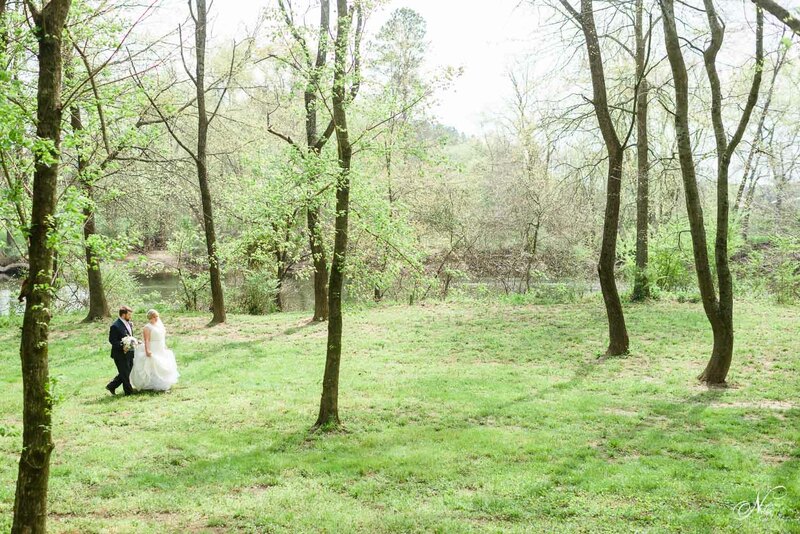 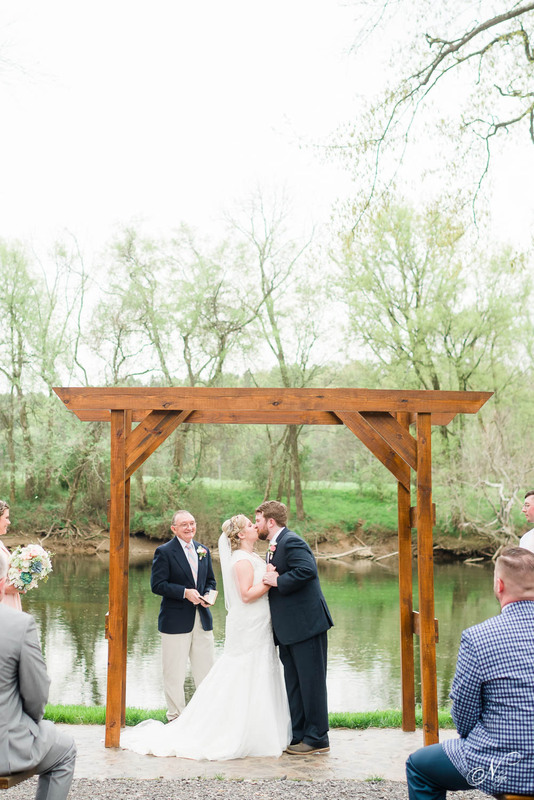 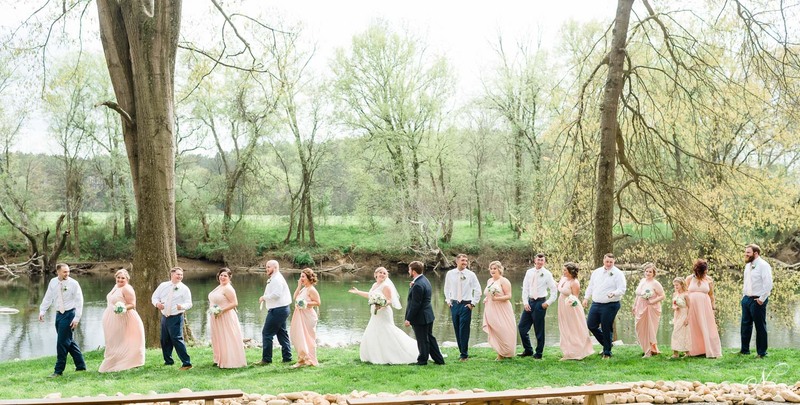 The Hiwassee River Weddings riverside ceremony area was the perfect setting. 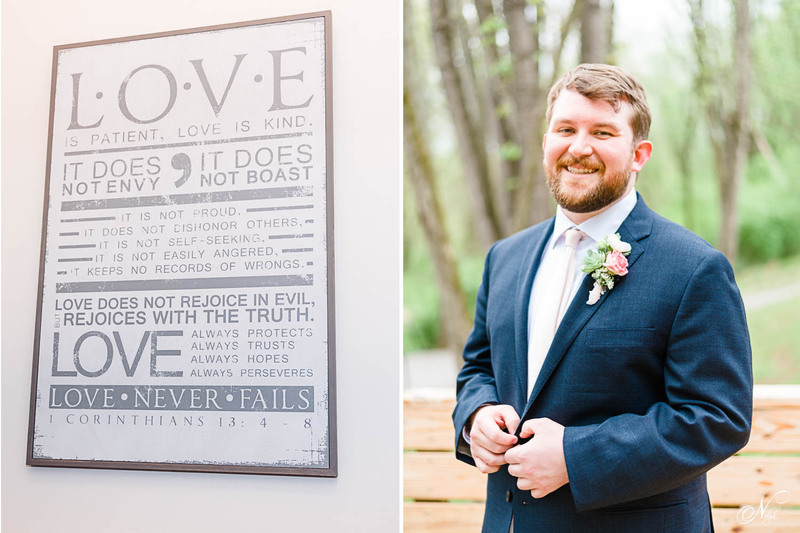 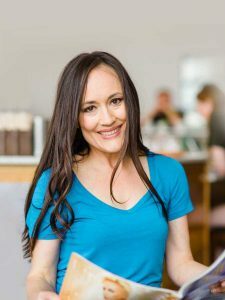 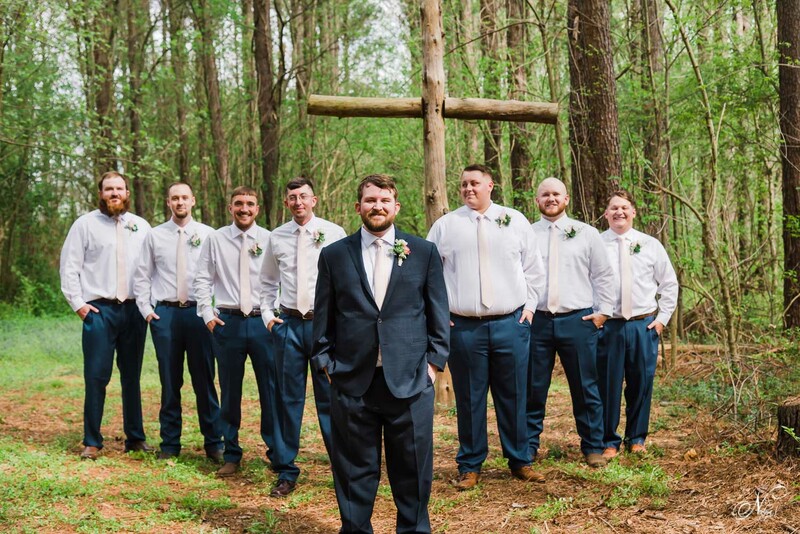 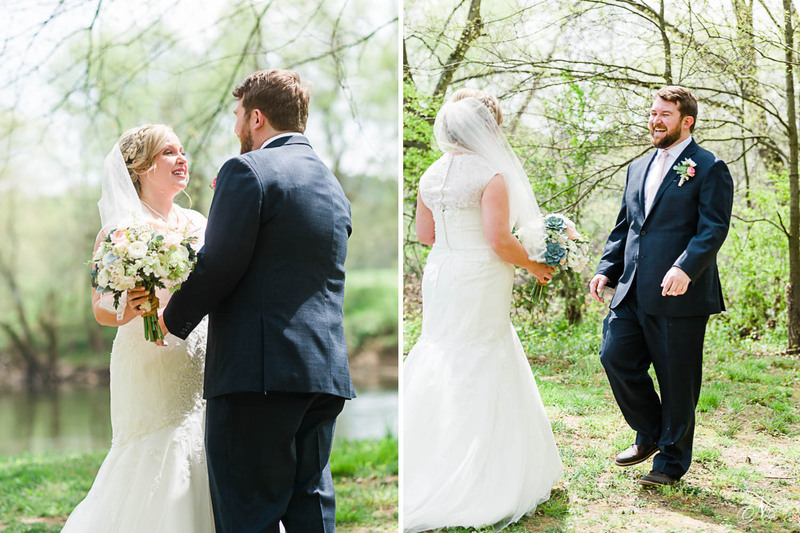 I loved meeting Jaleesa’s sweet family, and catching up with Jake’s family … you may remember his brother Kaleb and Linda’s wedding from a few years ago. 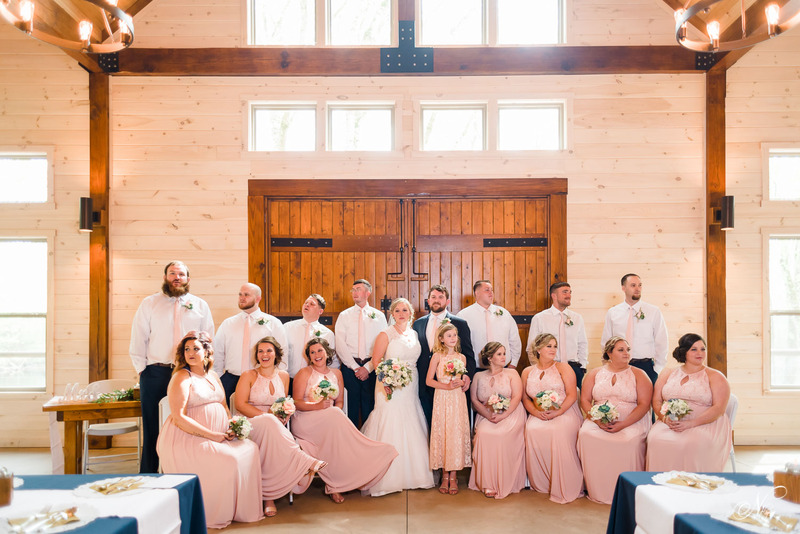 And I loved meeting so many of their friends. 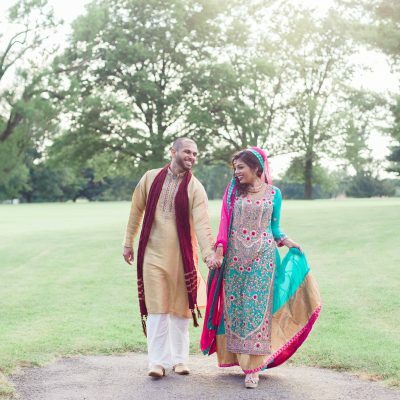 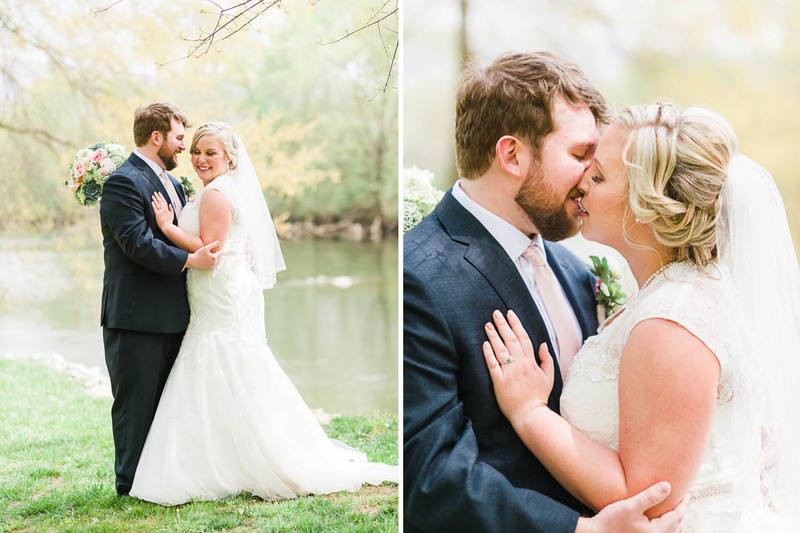 I think one of my favorite parts of the day was Jake and Jaleesa’s first look! 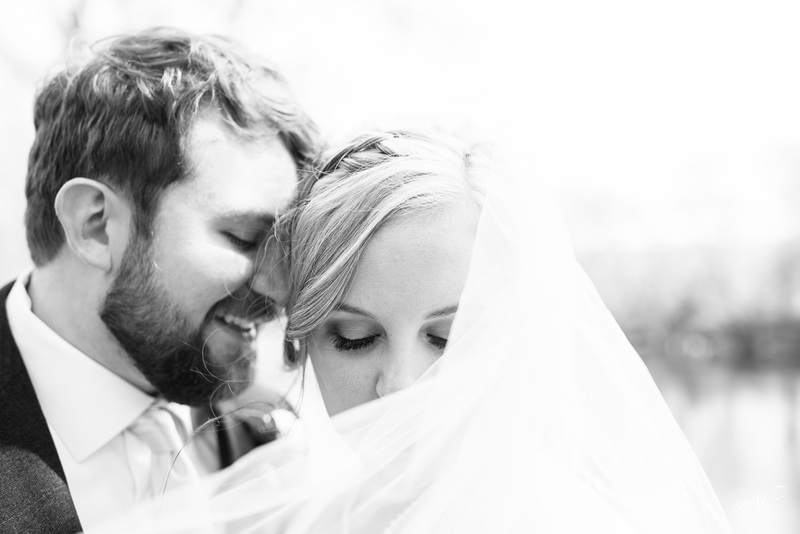 Their few moments together were so beautiful. 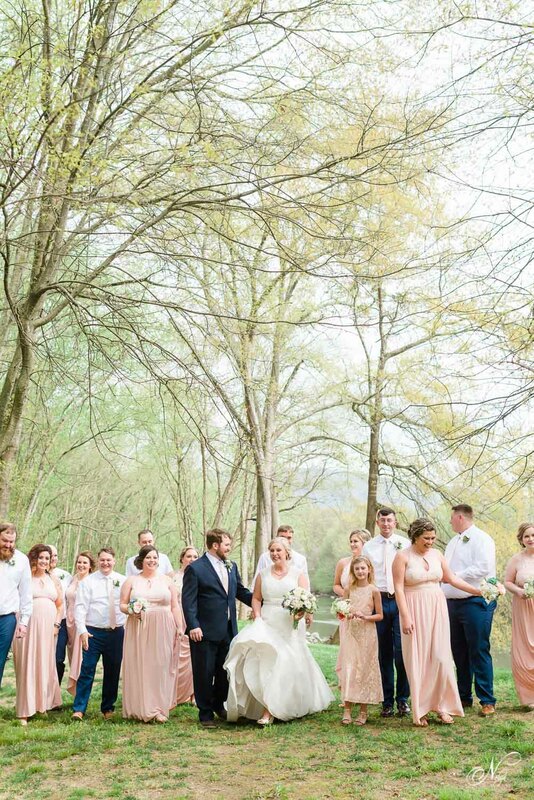 It is such an honor not only to call Jake and Jaleesa friends but to be the one who captured one of the most special days of their life! 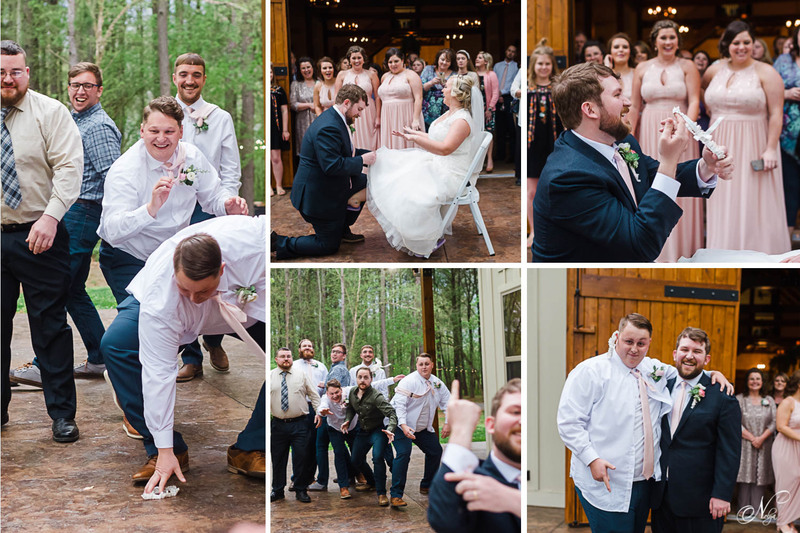 What a gift!!! 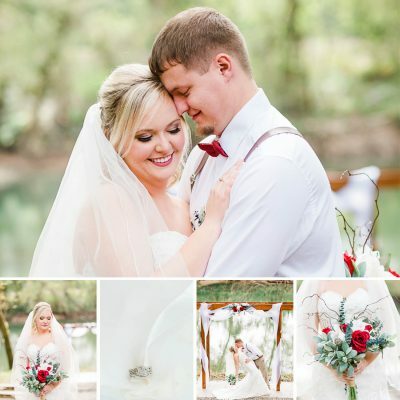 I love my job and I love this sweet couple! 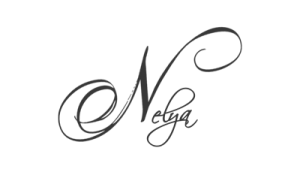 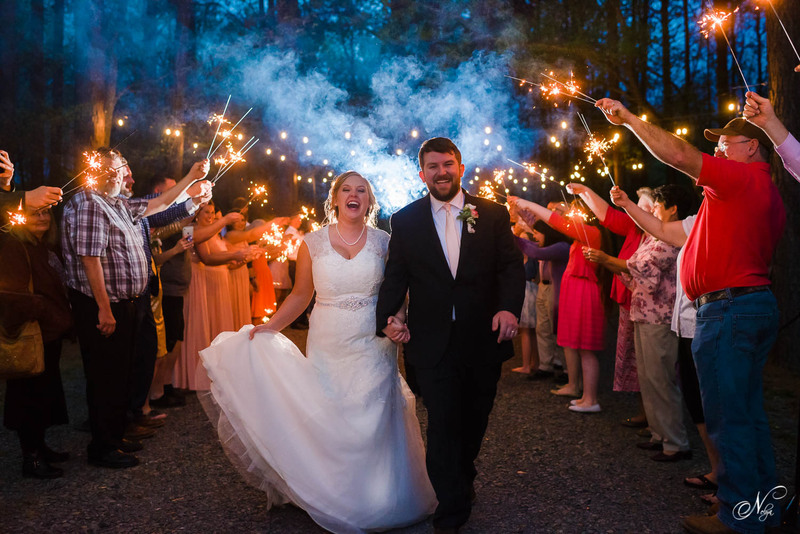 Congratulations to the newlyweds! 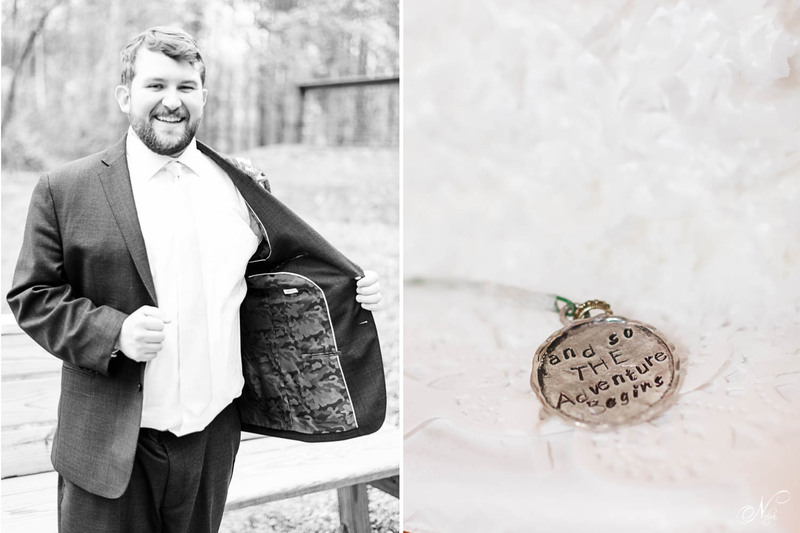 I am so excited for you as you begin this adventure together!! 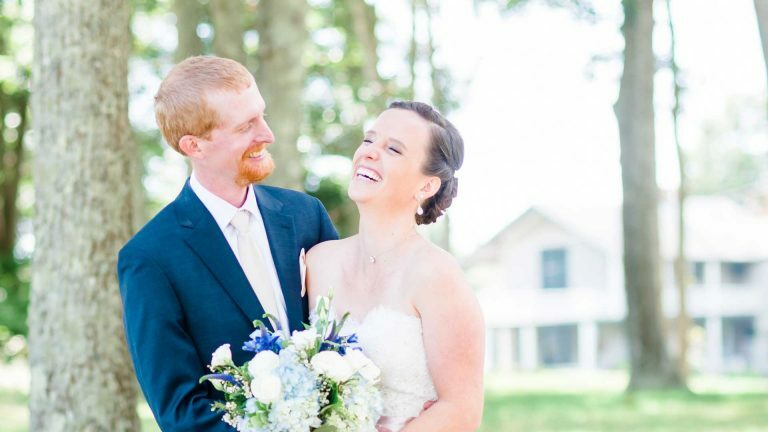 I hope you’re loving life and enjoying South Carolina without a care in the world! 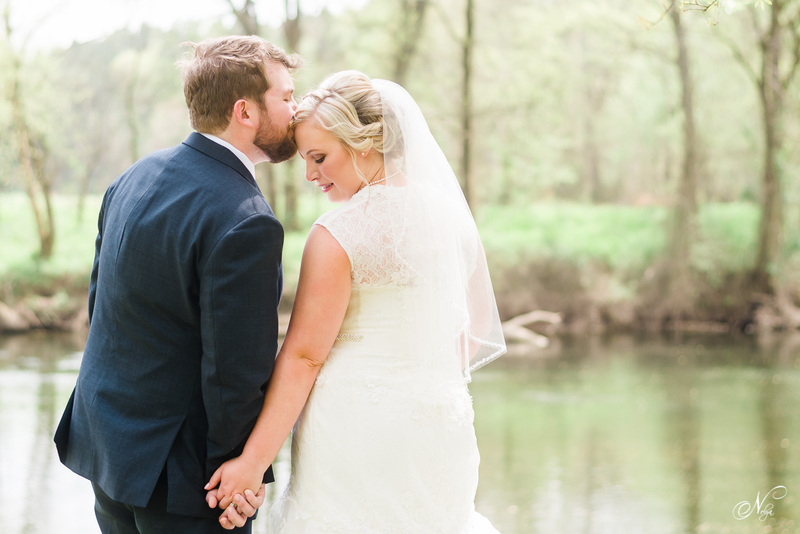 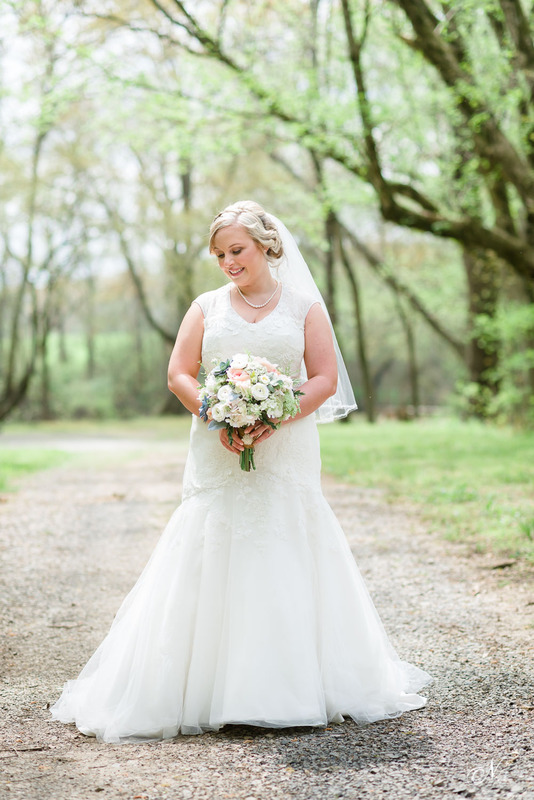 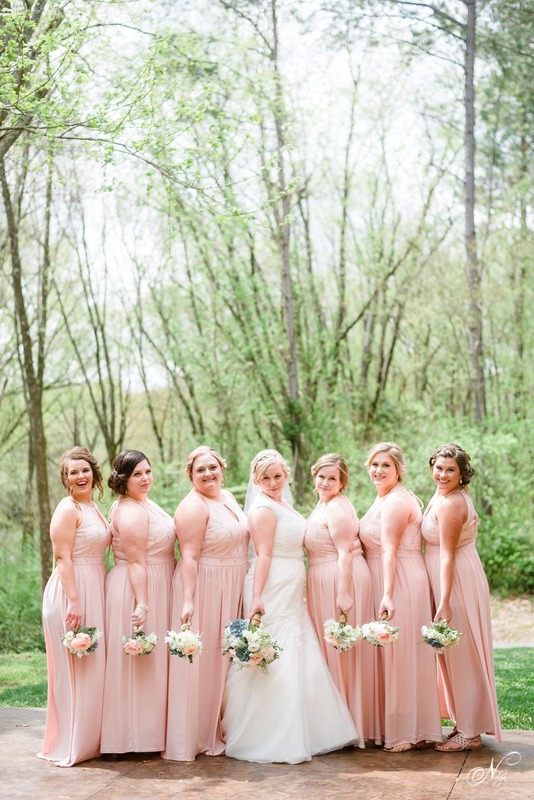 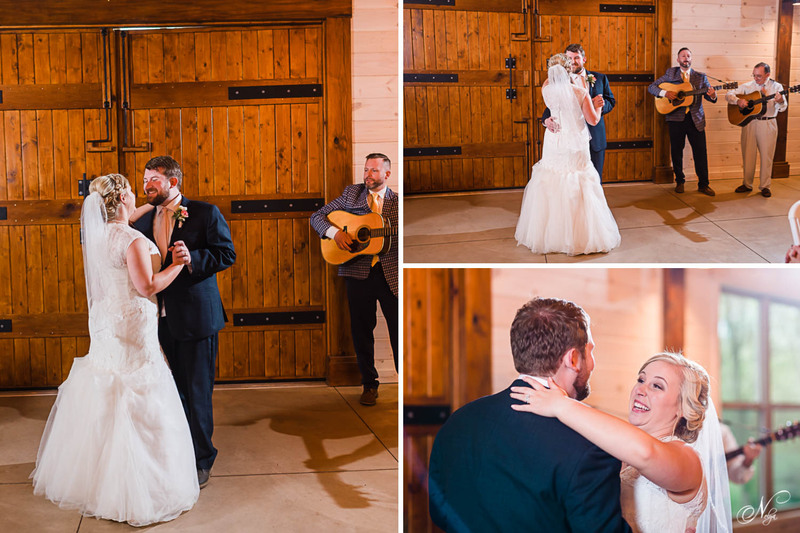 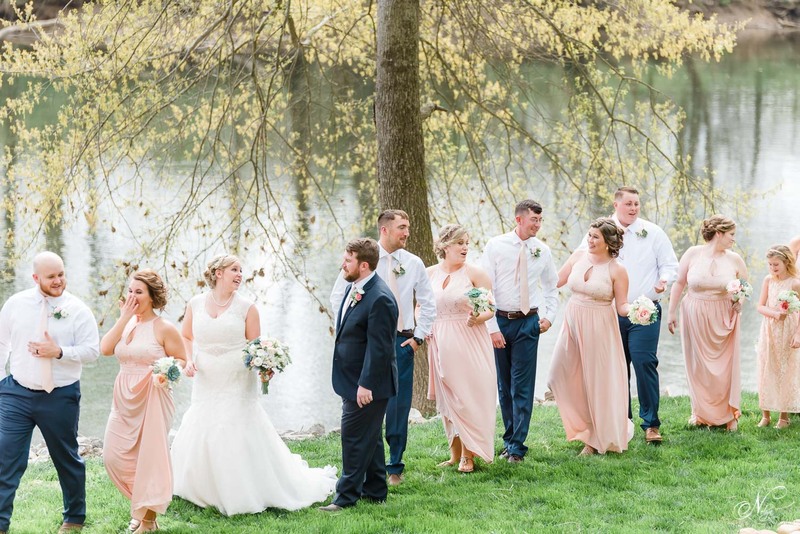 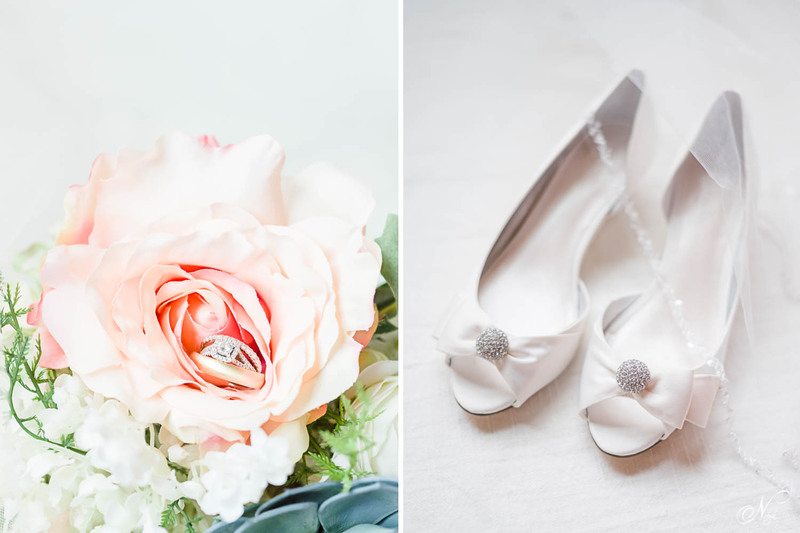 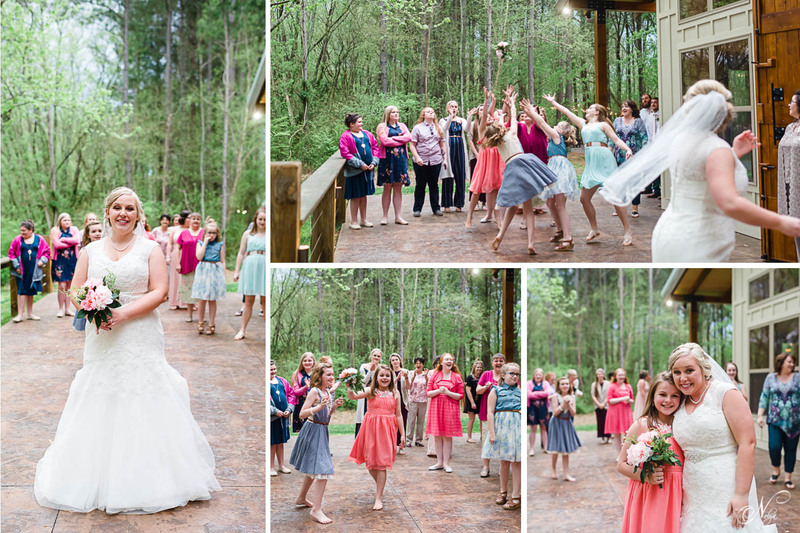 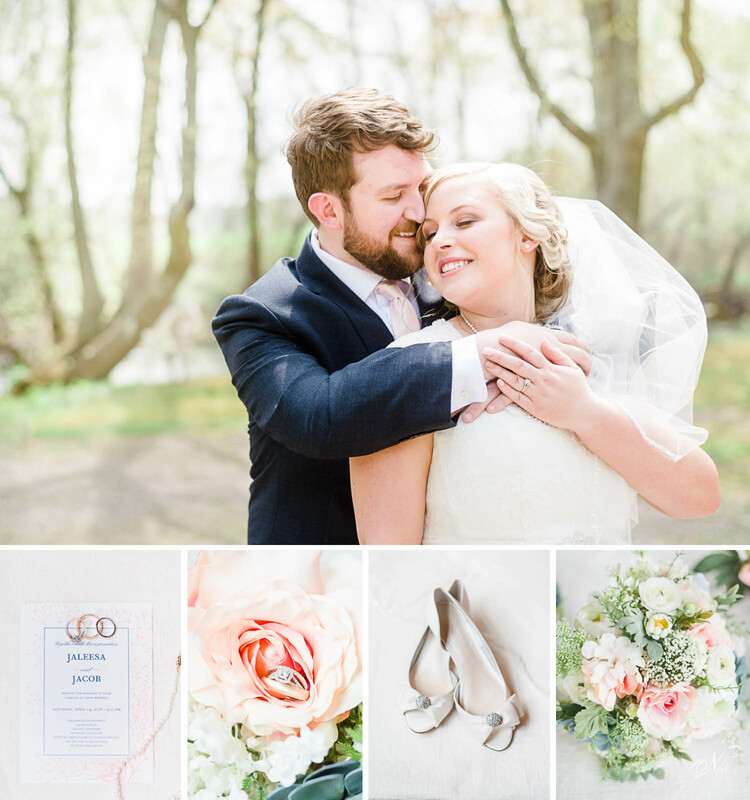 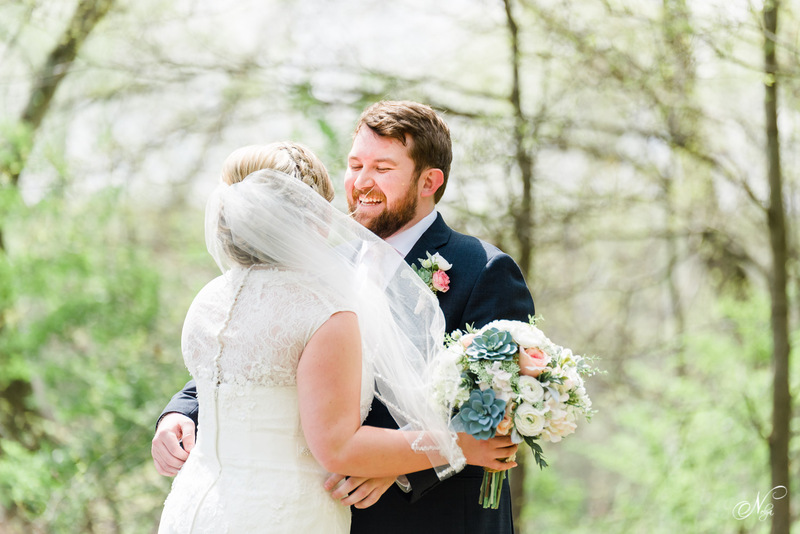 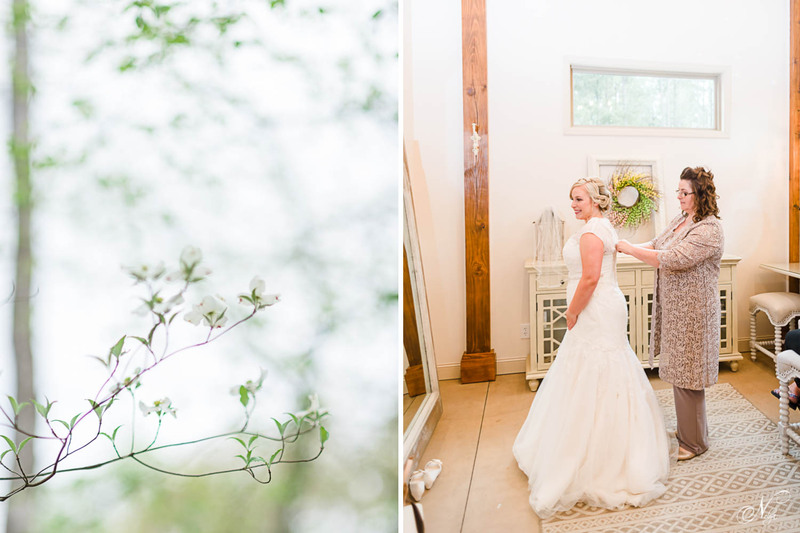 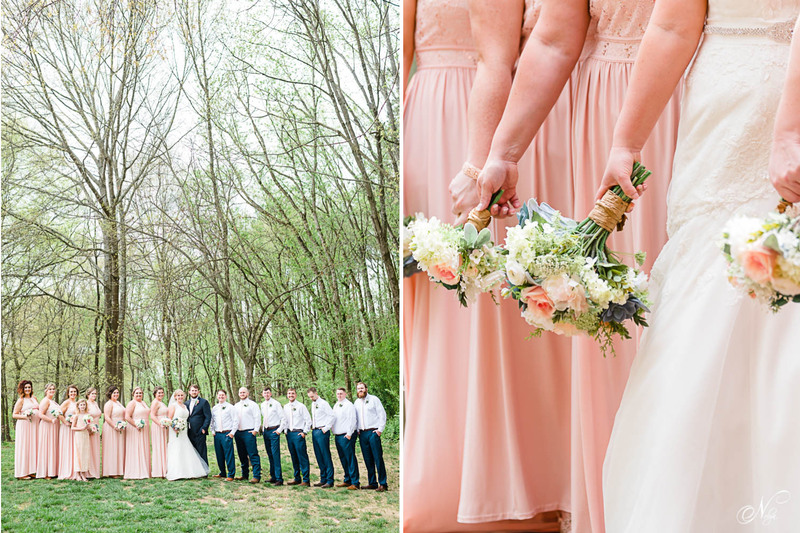 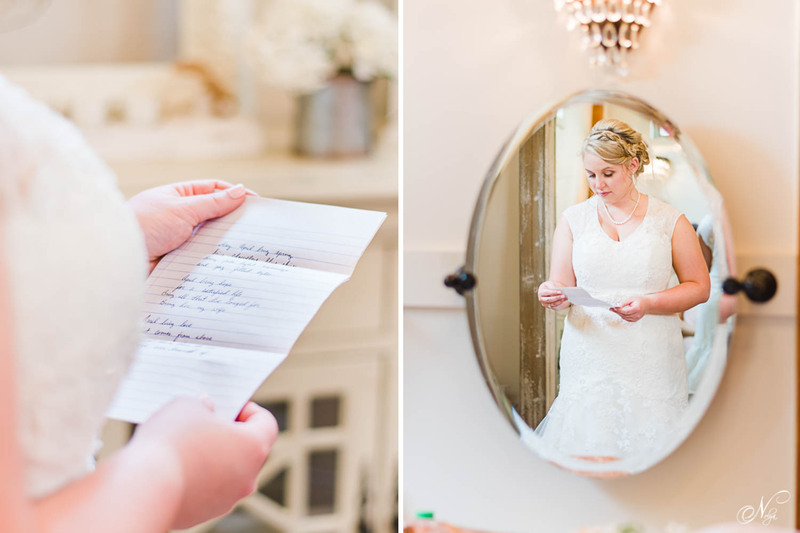 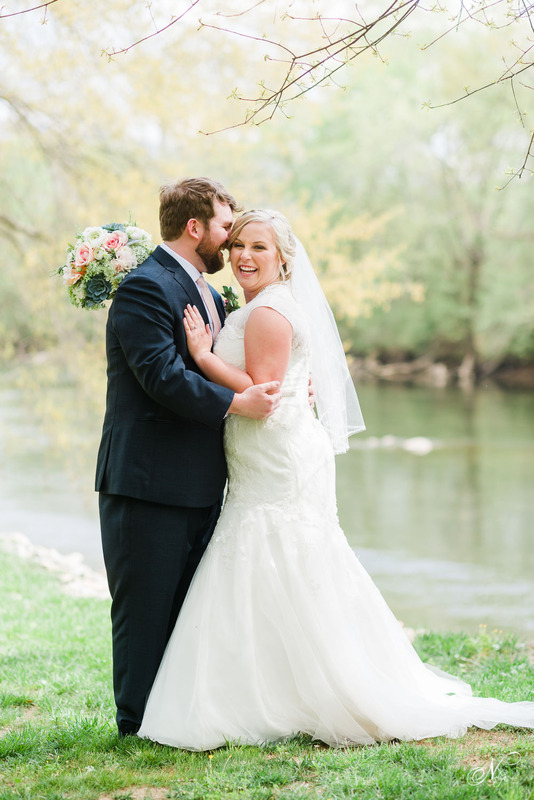 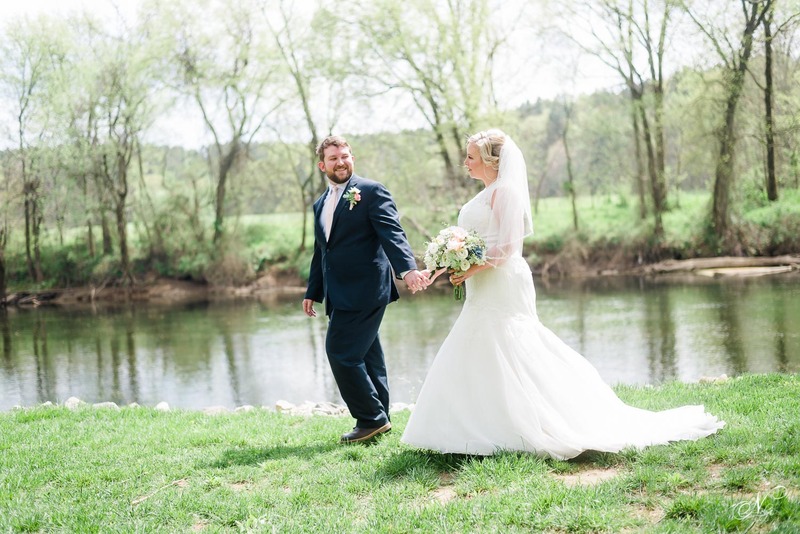 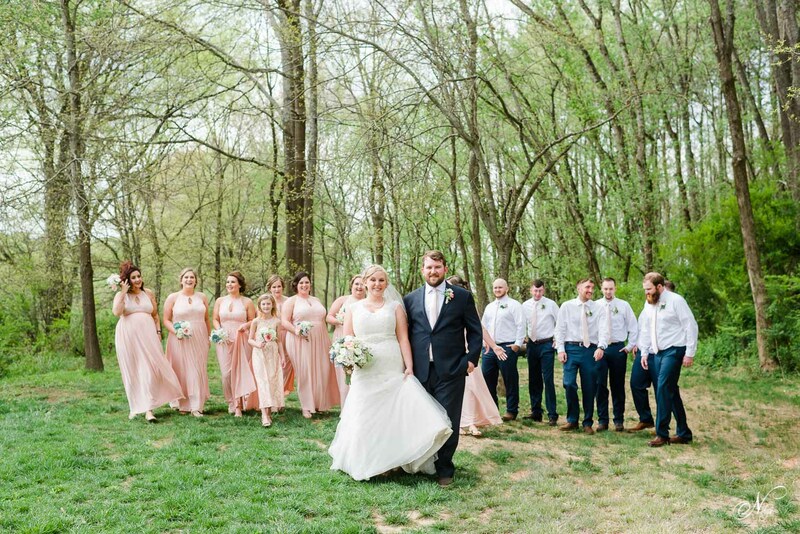 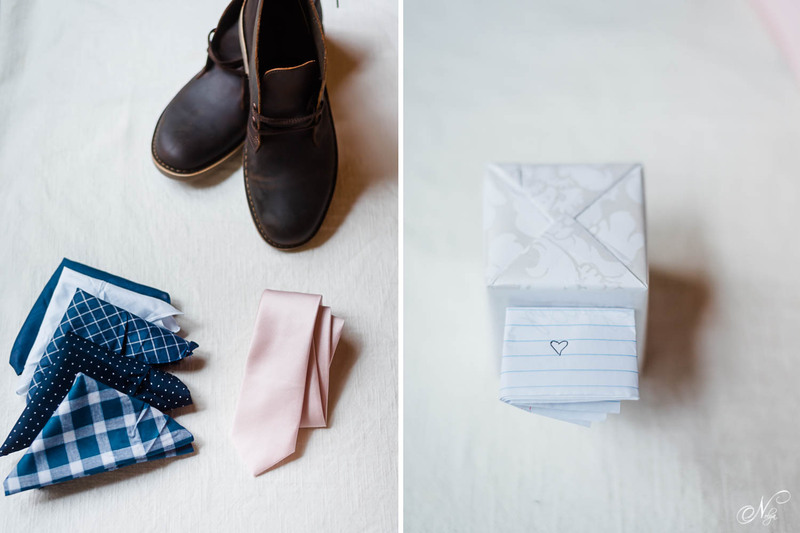 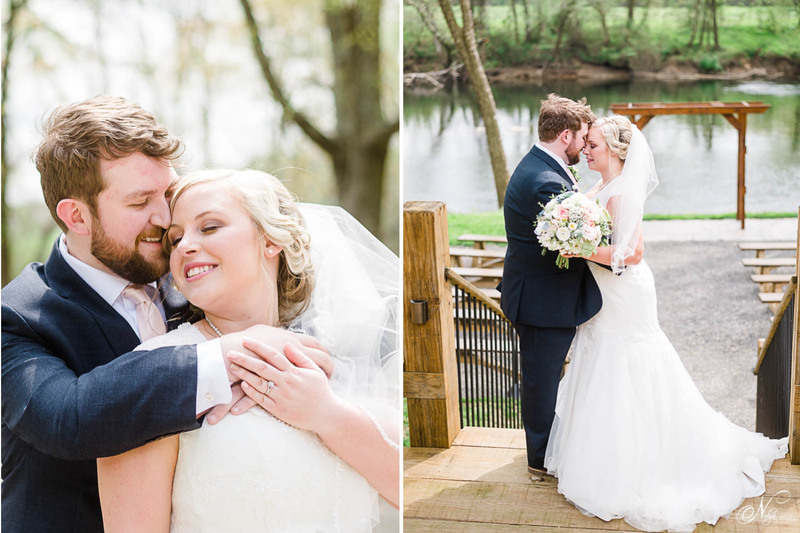 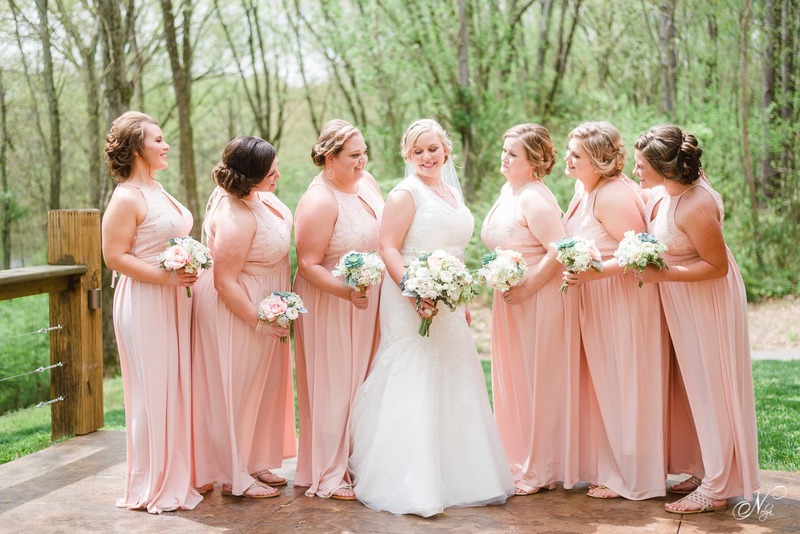 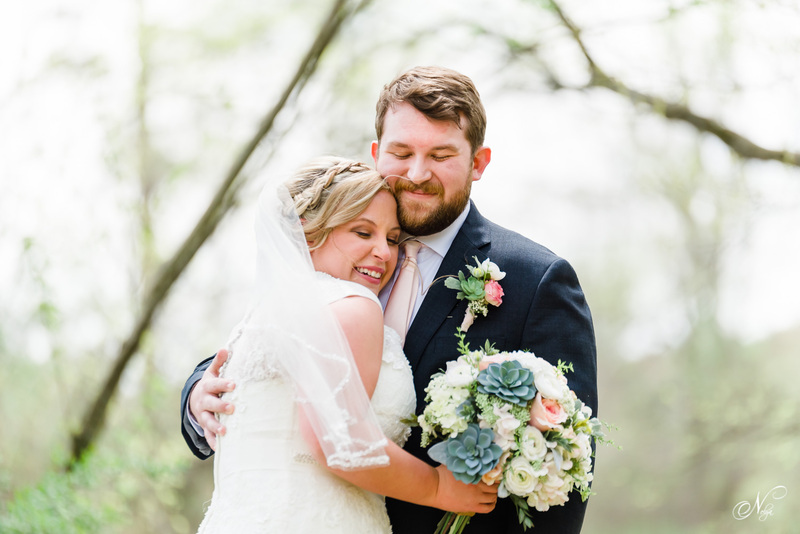 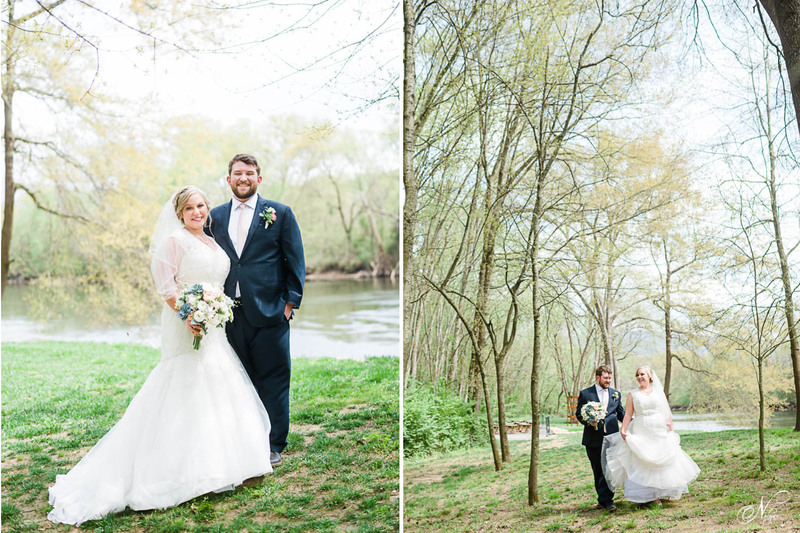 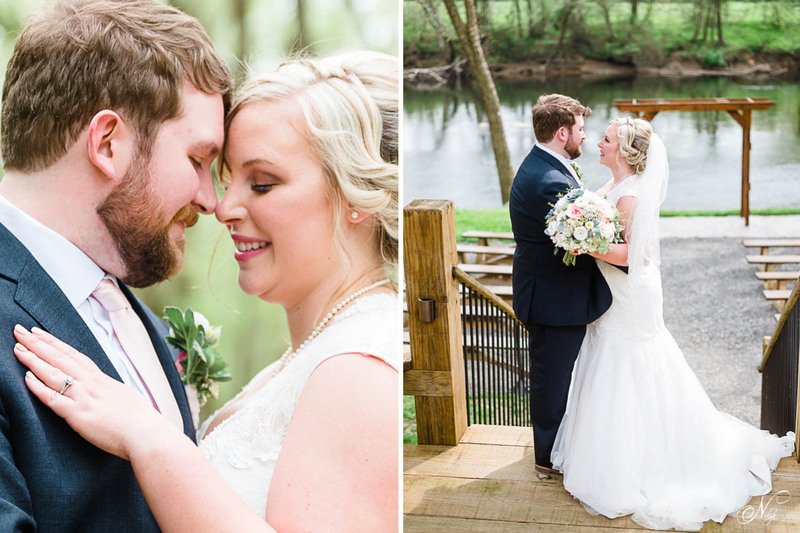 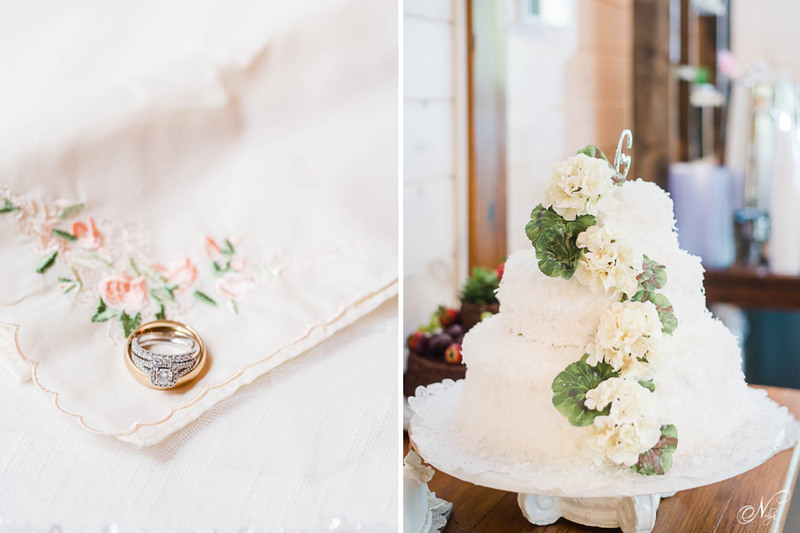 Here are a few of my favorites from this beautiful spring wedding. 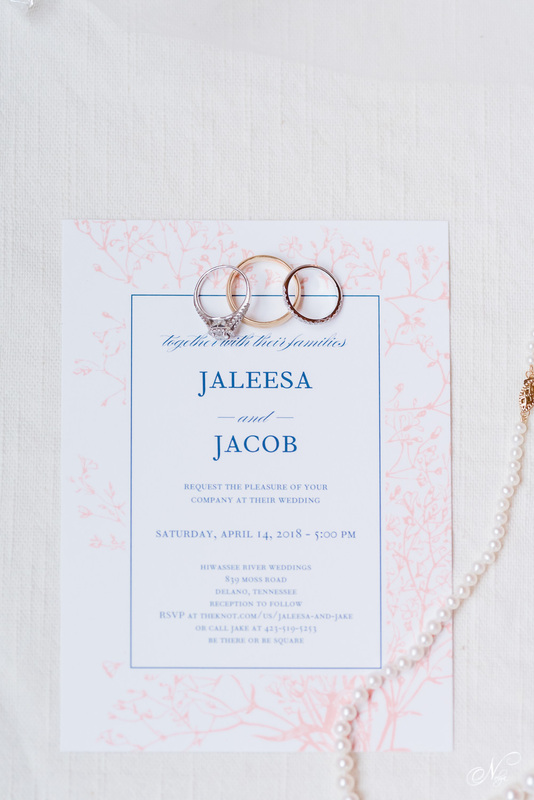 Jaleesa you are so beautiful! 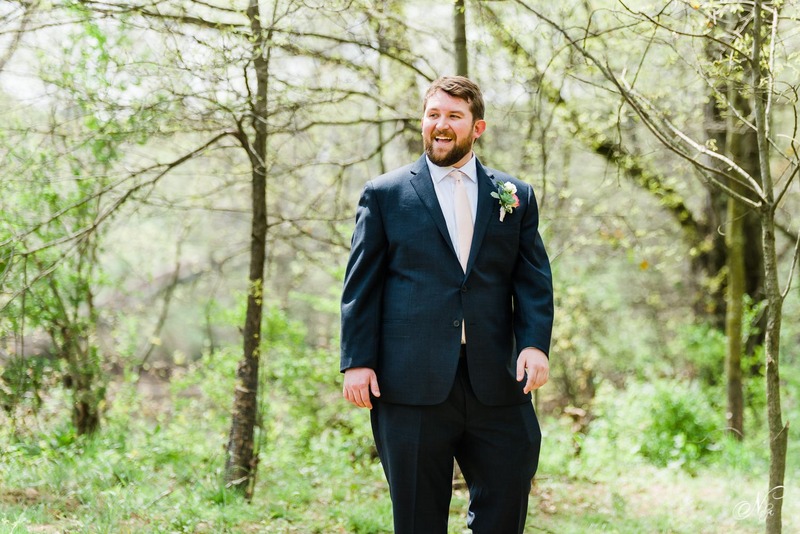 This is probably one of my favorite first looks that I’ve ever photographed. 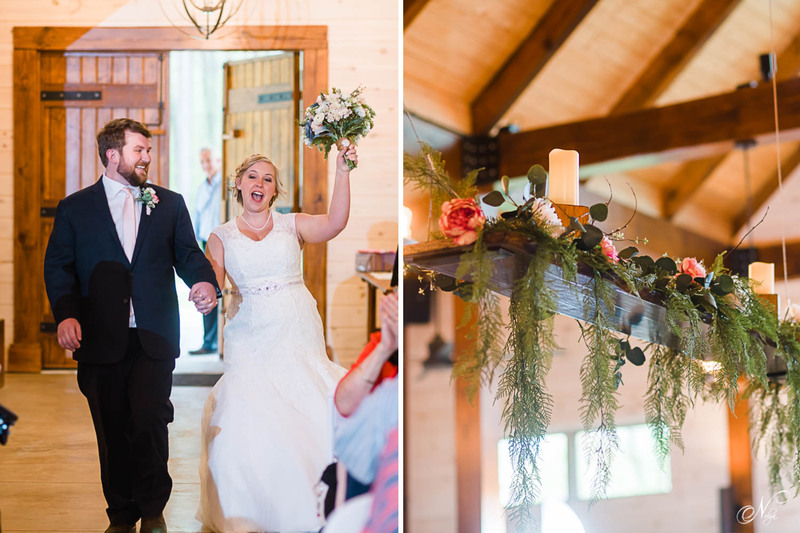 Look at that reaction from these two. 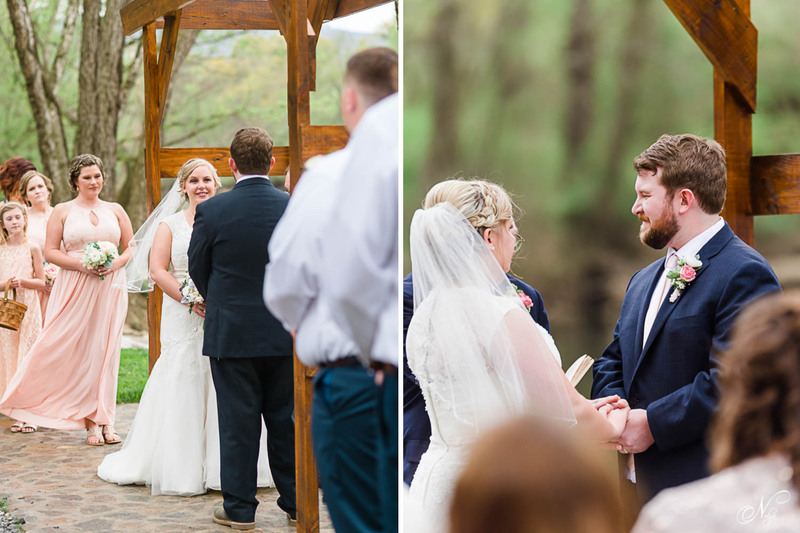 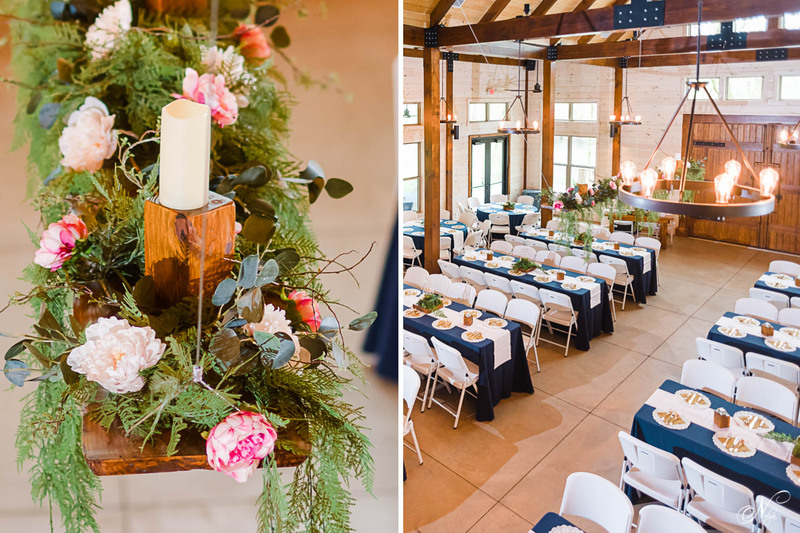 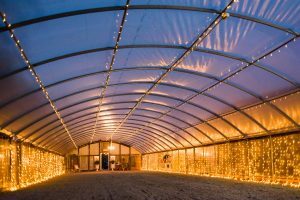 Kim and Tonya of Hiwassee River Weddings’ design team brought the reception together beautifully. 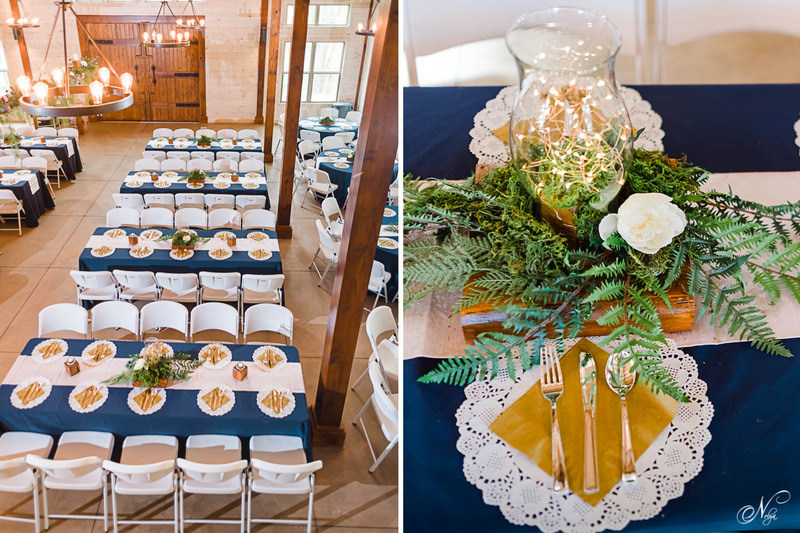 I love the navy, greenery and gold here. 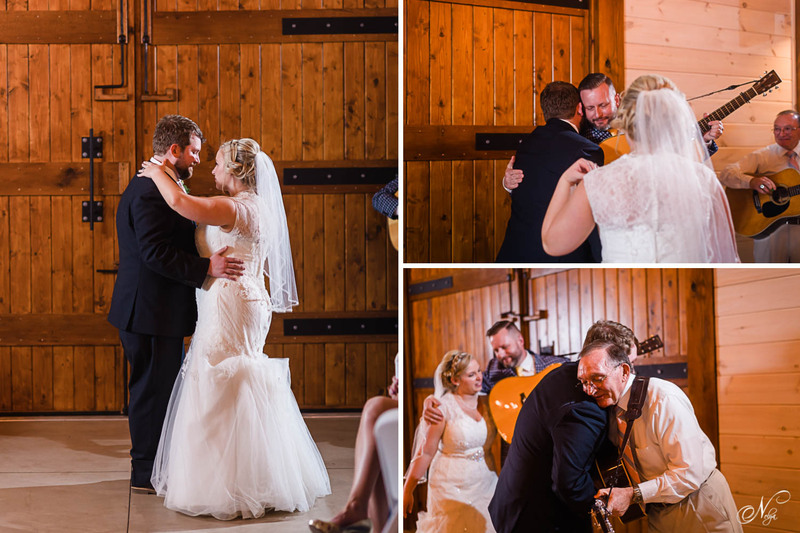 Jake’s dad sang for their first dance. 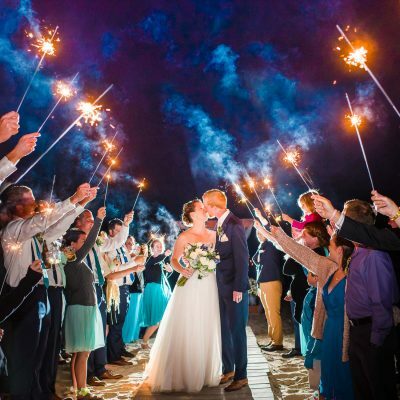 We had the sparkler exit under the lights of the forest ceremony area, you can see the little twinkly lights here. 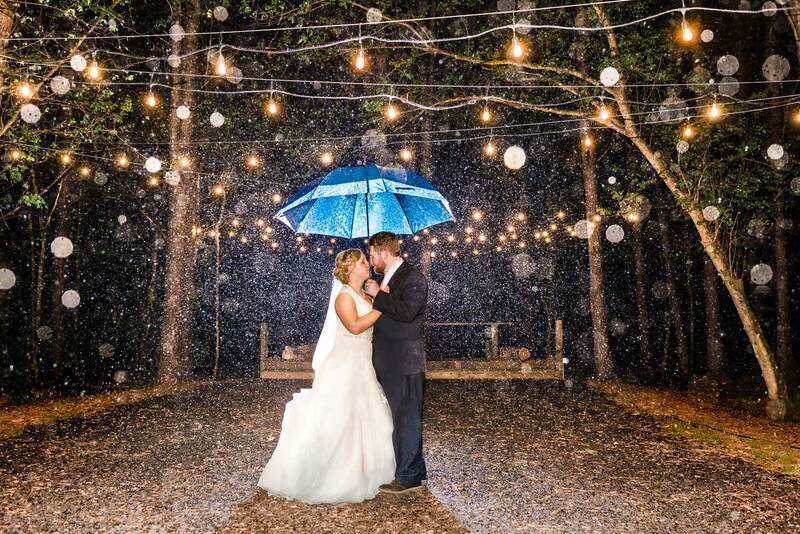 … A quick sprint to look for an umbrella and we can do this! 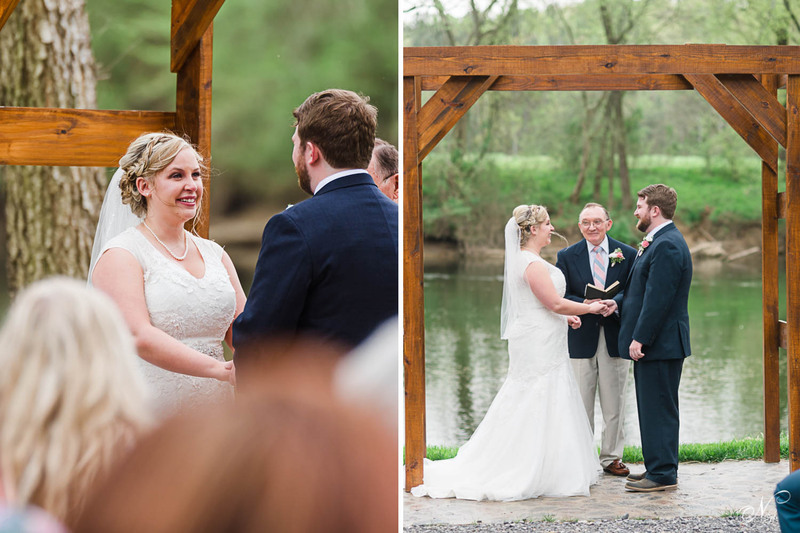 I heard someone yelled “Nelya it’s really starting to rain…” But we were already on it! 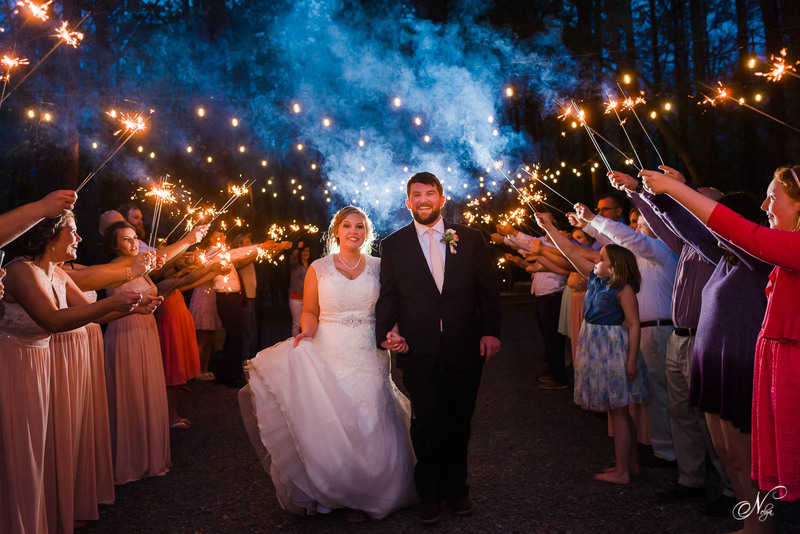 I believe those white round spots are from drops of water on my lens with the light of the flash lighting them up.